FHMAA has taught me self-defense,; when to use it and discipline. I have made some really great friends that now help me through everyday life. 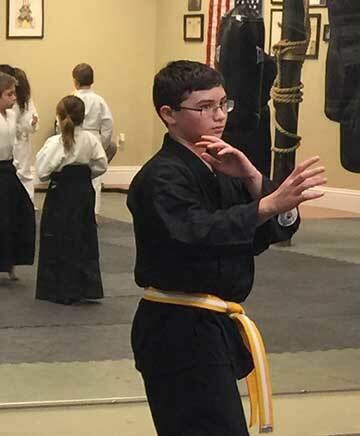 The dojo is very special to me because it teaches me to defend myself in a bad situation. Sensei Rock and Shihan have both helped me through some tough times and how to deal with bullies. One other thing I have learned, this dojo also does not just give out belts to those that don’t deserve them but to people who actually earn them. ⟵I couldn’t speak any more highly of Sensei Rock and the rest of the FHMAA staff.